The MEDITERRANEAN SEA: platform of trades and struggles among different civilizations, economies, and cultures; a SEA carrying a true destiny in its own name. Be it either the Arab MIDDLE WHITE SEA, or the Albanian SEA AMONG TERRITORIES. Or the Hebrew Hayam Hatikhon (i.e. the SEA BETWEEN LANDS), or the Berber ILEL AGRAKAL, carrying the same meaning. Our sea – never confined within its own stories yet firmly included in the wider ensamble of the emerged lands of the world; in the heart of the gigantic united Euro/Afro/Asian continent, gains itself the status of a planet of its own, a place where everything circulated in time so that the three continents may be welded for eternity by liquid boundaries. Here, where men met the greater scenery of their own universal history, where decisive exchanges for the destiny of our civilizations have been accomplished. Italy’s pulsating heart, central by vocation, welcoming yet superb. Rome synthesizes past and present at best, firmly rooted in Europe while stretching out to the Mare Nostrum. Mercato Mediterraneo, taking place in Rome, adds a lot to the simple trade event: the pleasantness of the unique suggestions that make Rome one of the most desired cities in the world. All the products from the Mediterranean, even the more peculiar and less known food specialties will find their space in our event, contributing to its tale: paths and stories, proposals of excellence halfway through novelty and tradition, to show how the mixing of cultures, the circulations of individuals, their trades and exchanges ever introduced wellness, taste and harmony. And among the new paths, that will guide the themes of the journey of the event, Bread&Company, the Shapes of Milk, will take the stage, and also an entire, rich section dedicated to wines, Vino Mediterraneo. They will interact to recreate a colorful, scented and stimulating universe within the expo, through the exposure of key products of the food tradition of the Area, encased within real business opportunities. All this in an open context, where every production and quality will find proper co-location. Bread&Oil, Bread&Tomato, Bread&Cheese, Bread&Wine… and we could continue like this and quote equally perfect ensembles, tasty and healthy, where grains are protagonists of a wide debate that claims important consideration. Here Mercato Mediterraneo has great potential, staging productions that perfectly picture a macro area of modern and experimental agriculture techniques, that we know so little of. erent presentations, this product is unique nourishment and primary resource. Flavors, aromas, but also healthiness and life itself are preserved in milk: yogurt, kefir and a number of extraordinary dairy products will complete the journey. Also, there will be room to present innovation systems that will enrich the potential of such traditional productions. 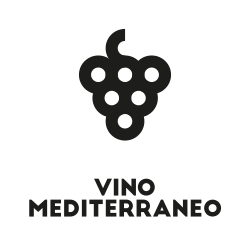 Vino Mediterraneo is the section dedicated to the nectar of the Gods of Mercato Mediterraneo: a divine wine that finds a special setting in the format of our event, a window of excellence, qualified and original. • possibility of joining post-event company visits.